Start: Nationwide House, Pipers Way, Swindon, S13 1TA , with plenty of free parking. Event village: cafÃ©, registration, Torq, mechanical assistance.Timed: axle mounted timing chip Signs: Black text/arrows on orange signs for general directions, yellow signs for information/warnings. Repeater orange ribbons en route for reassurance. 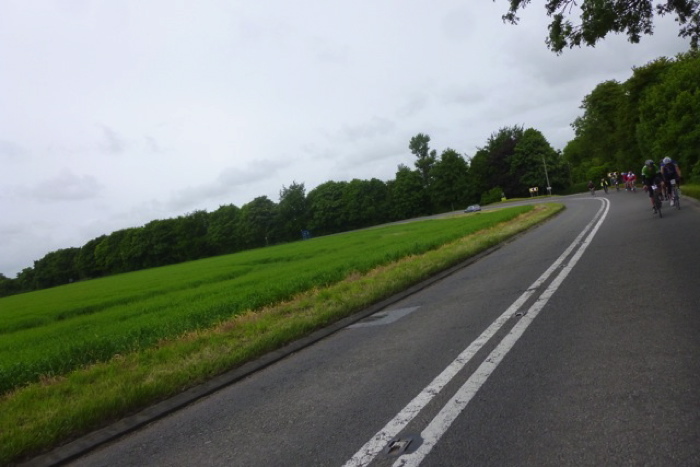 Roads: quiet scenic country lanes with mostly good surfaces, very little main road, and warnings of any hazards.Goody bag: token for free t-shirt and tea/coffee. 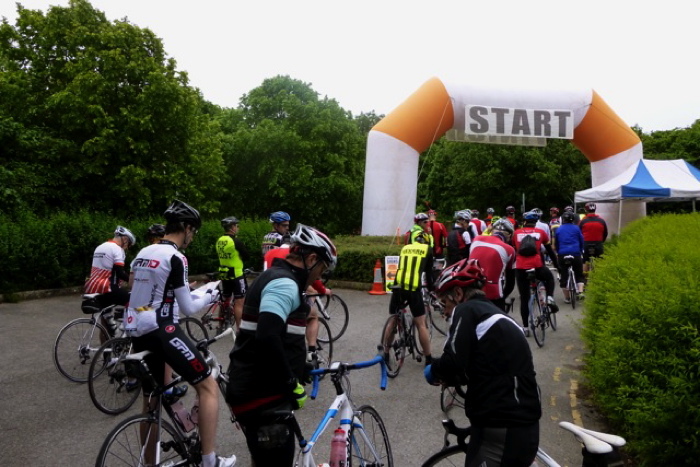 I did the Great Western Sportive last year. 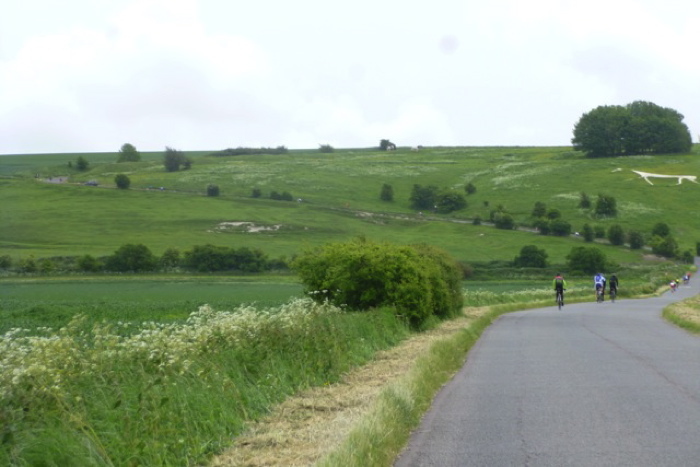 I enjoyed it, it's a part of the world I like, and it's not massively hilly. Martin, the organiser, sorted me a place earlier this week, Twitter provided me with a ride partner, and just like that, I was set. As the forecast got worse, I did have some second thoughts. But the forecast improved as the week went on, it's only weather, and having committed to doing it, I really didn't feel I should bail. I'm not sure I prepared properly though. Let's start with a week when I didn't eat properly, followed by one rather over indulgent Friday night. Yesterday's hangover headache was quite impressive, and some of the side effects lasted all day. After the morning coffee run failed to clear it, I took it pretty easy for the rest of the day. I even got a reasonably early night and then typically failed to sleep much. Well, apart from that bit where you finally fall asleep near the end of the night, down to that very deep place from whence the alarm has to drag you to consciousness kicking and screaming nonetheless, dragged I was, and awake I was. I ate porridge, and drank coffee, as you do. Faffing had mostly been done the night before, driven by the forecast. Due to that forecast, I'd decided to ride my Cube, since unlike my summer bike, it's not white, and it has tyres better suited to inclement weather. It seemed like a good idea at the time and we were off down the motorway as planned, at 6:00am. HQ was at, appropriately enough, Nationwide HQ, in Swindon. 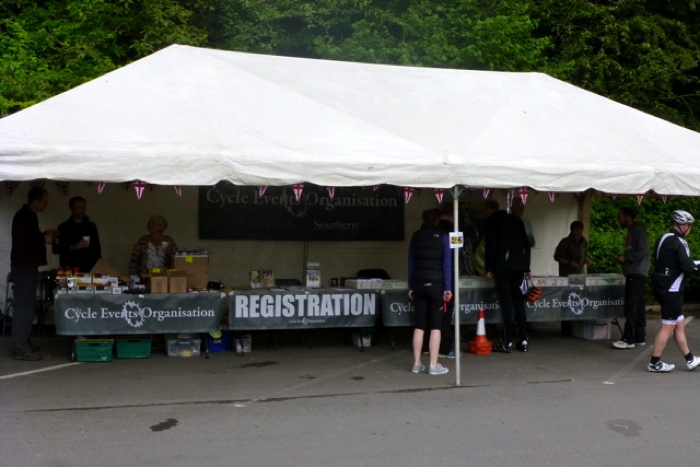 Lots of lovely free parking, with but a short trek to registration and the start. 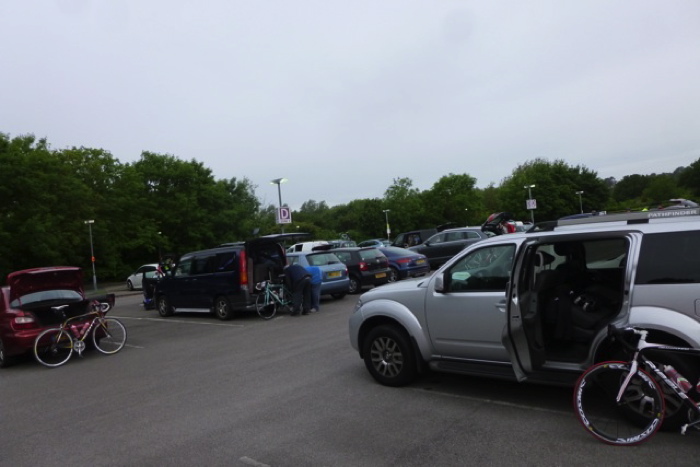 I met up with Rob in the car park, who faffed more than enough for both of us, and we took the short ride to registration. I was number 460, and quoting my number got me my bike number and timing chip, before I went and signed the usual disclaimer/insurance list. 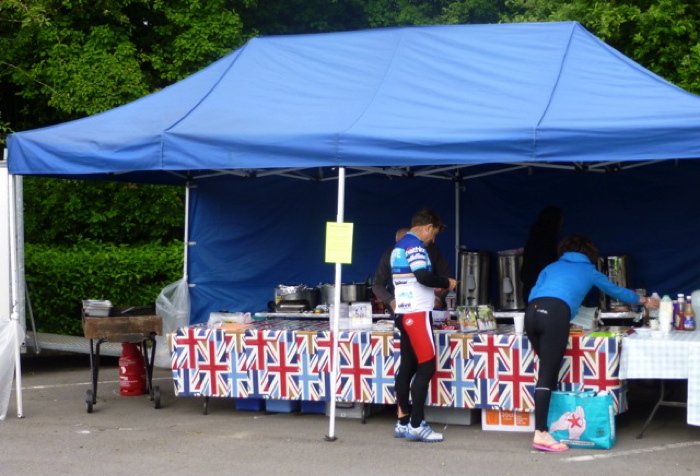 HQ had cafÃ© facilities, a Torq stand, and Performance Cycles doing last minute mechanical stuff for those in need. They were also to be seen out on the course later, in their shiny cars, helping the stricken. There were quite a few toilets too, two of which were nominated for the ladies, a suggestion that was in fact being heeded by the gents, which makes a change. It's always nice to see men queuing for the loos for a change. Time to get to the start, and start doing what we were here for! Martin gave us a bit of a briefing before letting us all go on our way, a bit after 8:00am. Off into the chilly grey Wiltshire morning. There's a nasty hill that starts steep and then keeps on going, all of three miles in, which would have come as a nasty shock to the legs if I hadn't known it was there, and even so it wasn't much fun! Neither was the wind.The wiggly descent from Broad Town, which is where we had climbed to, kind of made up for it though. This was followed by about 15 miles of fast and flat, of time spent in random groups, going faster than I ought to have been, because it was fun and because I (mostly) could. It did occur to me that I might pay for it later, and I did. Too fast too soon! And usually I'm pretty good at pacing - so I blame Rob - he's far too fast, and made it look easy, and I thought I should keep up. Time to start climbing again, as we hit the A4 at Cherhill, and left our latest slightly rag taggle group to head off into the distance. 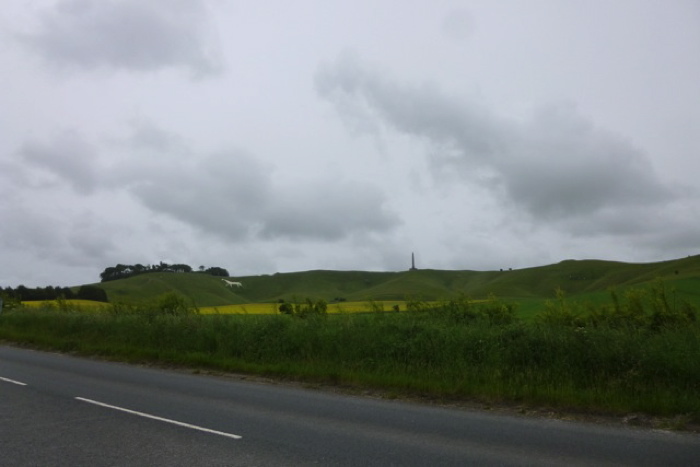 Thanks to it not being sunny, the A4 was relatively quiet, and the long slow drag past the hill, the monument, and the white horse, was not unpleasant. It's called "Labour in Vain Hill"! Isn't that a lovely name? Well our labours were not in vain, and soon enough we were in Avebury, which was full of the usual tourists enjoying the standing stones, and the odd photo opportunity. 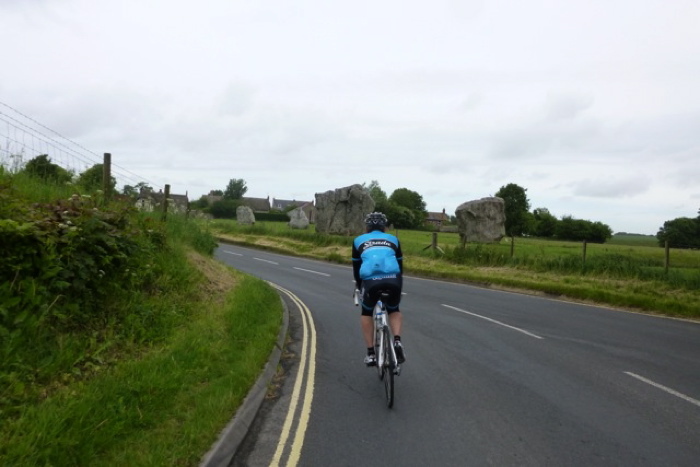 Leaving Avebury behind, it was time to head for the next big hill of the day. 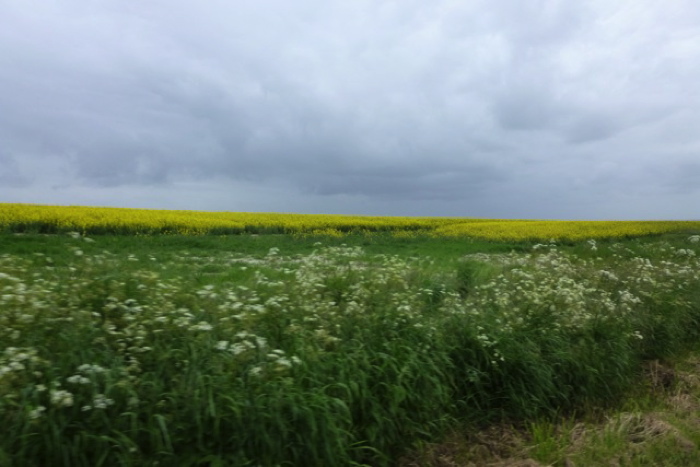 It might have been undulating and fast, but I knew what was coming, and I wasn't in any hurry to get there. Energy conservation and intake of fluid and food were far more important. Besides which, there were plenty of riders and plenty of traffic, and we were all winding each other up, so I felt it was best to keep a low profile and let everyone else get on with it! Which hill? Why Hackpen Hill, of course. With, somewhat predicably, a white horse on it. And hairpins and everything. I pootled up it in bottom gear, as if I had a choice. And it was the usual variety of hard work...but to be honest, I had been expecting to find it a little easier than that. 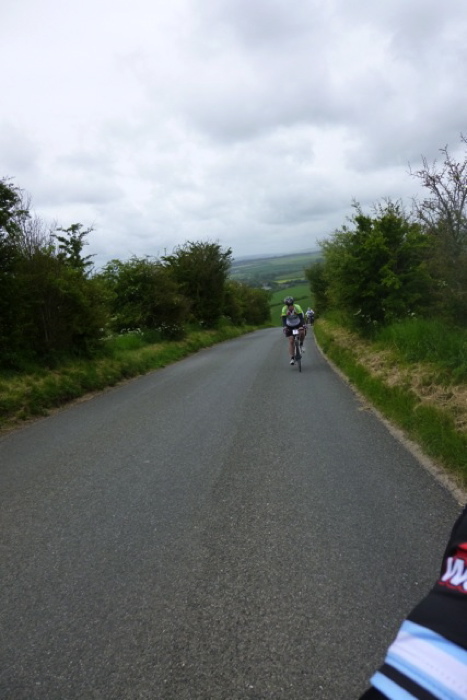 It would appear my legs weren't really in the mood for hills today - there was just nothing in them. On a couple of occasions the hills were long enough for me to settle in a rhythm, which was slightly more successful, but mostly? Any sort of incline saw me dropping off the back until I finally caught up again on the flat. It's just as well there was a food stop at the top so that I could catch my breath, and eat the usual half a banana. No toilets though (as with all the food stops today) which does irritate me, especially on a day with weather like today. 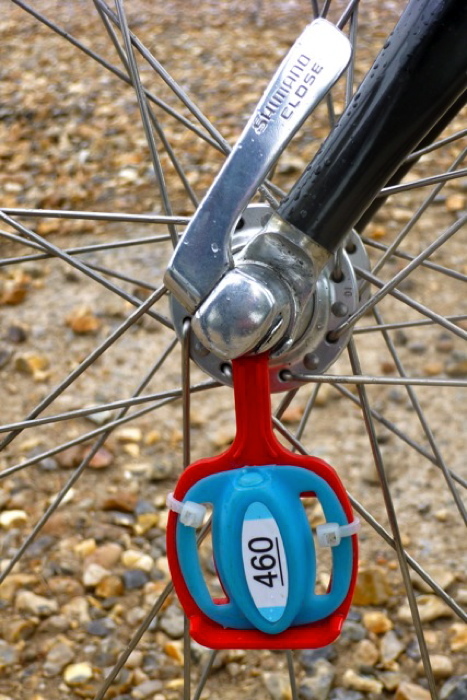 Rob thought he might have a slow puncture in his rear tyre so he used the mechanic's track pump to check it...more for reassurance purposes than anything else. It turns out that it was fine, but at least that meant we could both enjoy the truly lovely descent towards Marlborough without worrying about it. It's one of my favourite Downs. As you can probably tell, I wasn't feeling the love today? It never really warmed up, there was a nasty headwind (surprise, surprise), my legs were empty. Thanks to riding a slightly unfamiliar bike, my left knee kicked off, my lower back seized up, and my arms hurt. I ate and drank as usual, but today that wasn't working. Maybe I hadn't eaten enough this week? Today? Either way the tank was empty, verging on wobbly. Now normally I'd have hung in there and done the whole 100 mile thing. I'd probably have made it. But I really didn't want to ruin my knee. I'd taken painkillers, but just because it wasn't hurting didn't mean I wasn't still damaging it. It would appear that there's just enough difference between the two bikes - set up, crank length, etc - to make a big difference! We'd already discussed the possiblity, but I have to admit my mind was made up well before we reached the final route split. Given a choice between 15/20 miles to the end, or more like 50, it was a bit of a no-brainer. Especially with rain lurking on the horizon. Having made that choice, and taken the left turn instead of the right, I suggested Rob do the sprinting for the end thing that he'd talked about earlier. Not only would this mean he got a bit more out of the ride, but it would also save me from feeling the pressure to keep up with him! So he hurtled off and I did my slightly slower thing. I took a gel somewhere along the route...and more banana at the final food stop. I needed a couple of minutes break there, as I was feeling like I'd overdone it a bit, which I think it helped give the gel time to settle in. I definitely felt better after a while, and also the closer I got to the end, even if those 27km were not flat! The rain that had been threatening came in. First a little, and then just...more. Not heavy rain. Just more of it. Not pleasant. 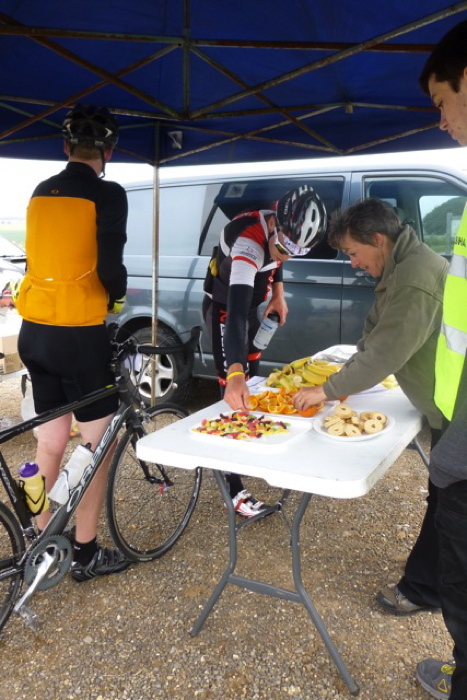 It was windy again, and I got wet and then cold, but actually not too miserable as I knew the end of the sportive was nigh. Possibly just as well I didn't realise quite how wet I was until after I'd finished, and I'm very glad I didn't do the original route as planned - an extra 30 miles in the rain wouldn't have been much fun! I crossed the finish line, and owned up to the distance I'd done, amusing though it might have been to pretend to be really fast. Even so, my official 4:40 time meant that, due to my old bird category, I got a GOLD by two minutes! Rob, who'd been in a little while, had done the same, which cheered both of us up as we'd been feeling a bit flat until we worked that out. OK, so it's not important, but still. We all huddled together under the marquees drinking our free tea/coffee and clutching our rather nice free t-shirts. It wasn't nice enough for much apres-ride though, we were both cooling down to chilly rapidly, so after a toilet stop (finally!) we headed for the car park. Time to go home.